David Hill has dedicated his life to Sport and helping people become better teachers and leaders. He envisions a world leading coach education program that would be accessible to any coach around the globe who wants to further their skills and experiences in order to help athletes reach their full potential. A lofty goal for sure, but one that David could pull off if given the proper amount of time and resources needed. 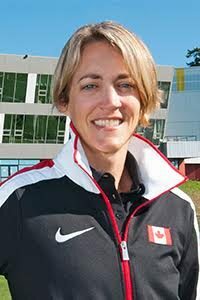 A true visionary, Hill will offer up some great coaching insights and philosophies at the 3rd Annual BC Sport Conference on January 14, 2017 in Burnaby, BC. Of course, finding those resources can at times be problematic but the tools are definitely out there for coaches. A lot of times it’s just whether or not they choose to apply them in the right way. Another new component of coaching that Hill will focus on is Decision Training, which he believes can play a major role in a coach’s progression. This concept of “Decision Training” was developed by Joan Vickers. Here theory is that skill execution improves as a part of part the decision, or cognitive training. According to Hill, what is interesting is that Vickers has seven cognitive skills that underlie the decision. In her work, she suggests that the coach needs to identify the cognitive skill to be trained as the type of intervention or “cognitive trigger”. All of this and more will be discussed and examined at the conference. The BC Sport Conference is leadership conference designed to help you become the best coach you can be for each of the athletes you work with. Check out this year’s speakers and read about their presentation topics. Register early for the BC Sport Conference to be held on Saturday, January 14, 2017 at the Michael J. Fox Theatre.